In MPMLink ,Please guide me how to bring the custom attributes of operations in workInstructions. In MPMLink , For Object type "operations" I have created custom attributes say "TOOL_PATH" BY using Global attributes from "type and attribute management". Now when we are generating the Work Instruction of this Operation we are unable to see this attribute (TOOL_PATH)..Please guide me how to bring the custom attributes of operations in workInstructions. Re: In MPMLink ,Please guide me how to bring the custom attributes of operations in workInstructions. 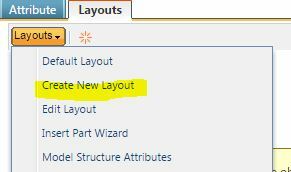 You must change the Layout for the for the creation of the "operation" and insert your TOOL_PATH in the Layout. Change also the outer Layouts where it's nessessary. This is a sample from WTPart. The Layouts can have different Names for a "Operation".